What does it take to race around the world or in the America’s Cup? 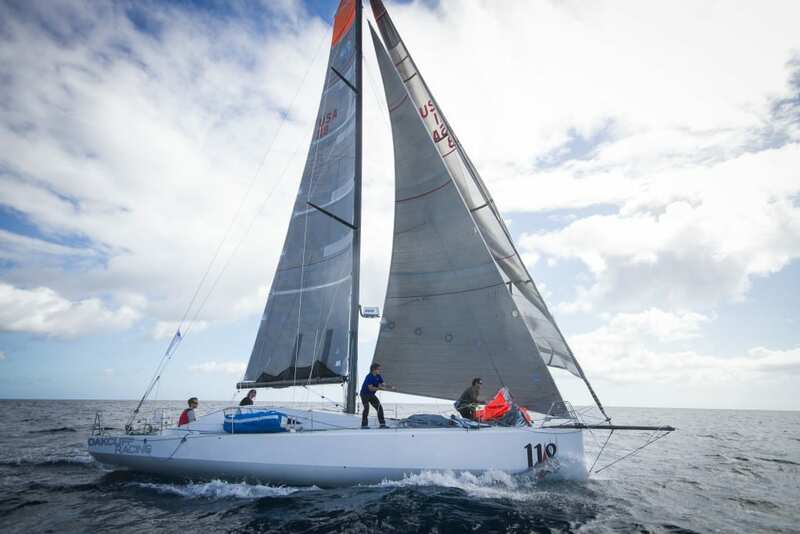 Do you want to be the next CEO of North Sails? If you are interested in pursuing professional sailing, want to learn what it takes to run a marine business, or just want to experience sailing at the highest level, Oakcliff is the place for you. Trainees are coached by a team of talented sailors and coaches specially selected by Volvo and America’s Cup sailor and Executive Director Dawn Riley. Athletes are led through both basic and advanced technical projects including match racing clinics, offshore races, inshore IRC racing, and land-based learning modules. They will also have the opportunity to compete against sailors from across the globe who come to Oakcliff. Famous sailors such as Dave Perry and Sally Barkow, and industry experts like Kimo Worthington from North Sails, and Forrest Williams from Marlow, frequently stop by throughout the summer. A 24-day intense program designed by Dawn Riley based on her experience in two around-the-world races. Offshore Acorns get the most experience in all-round boat prep. 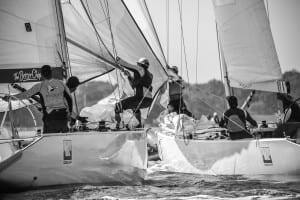 Sail more than 1,000 nautical miles including the Marblehead to Halifax race. Get your World Sailing Safety at Sea Certificate and master advanced navigation to thrive offshore. Serve as a Boat Captain, Safety Officer or First Mate. Industry tours and specialized workshops by leaders in the field provide great networking opportunities. This is not for your average sailor. This 10-day program is designed to provide advanced offshore shorthanded training. Along with boat preparation, trainees will compete in overnight training with coaches at their side. Included in this program is a World Sailing Safety at Sea Certification. Oakcliff has three boats set up for shorthanded sailing, the Open 30, Ker 11.3 and the Class 40. 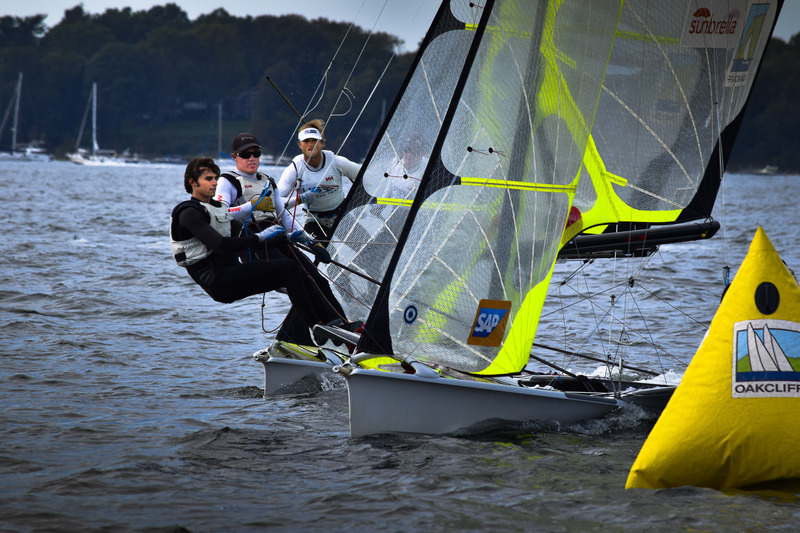 A 2-week performance camp led by top US Sailing Team athletes and expert coaches. Sail our world-class fleet of 49ers, 49erFXs, 470s, Foiling WASZPs and foiling Nacra 17s. An adrenaline pumping experience that will prepare you for international competition. Complement your on-the-water training, learning campaign management and valuable skills such as budgeting, fundraising, sponsorship, and public relations. July 23 – August 5, and August 7 -20, 2018 – Cost: $2,450ea. Intensive cross-training for the competitive inshore sailors. Broken into two sessions, the first covering fleet racing and the second match racing, sailors will be coached by five-time US Match Racing Champion Dave Perry as well as a roster of America’s Cup and World Match Racing Tour sailors. Hone your tactical skills with intense match racing. Play with sail shape, aerodynamic theory, and rig tune. Gain marketable skills such as winch and sail repair. Solidify your racing rules knowledge, boat handling and trimming techniques to make your boat go fast! Learn technical skills such as sail repair, engine maintenance, rigging, winch repair and more. A 7-day program designed for the adrenaline-driven athlete who has some experience with high-performance sailing. 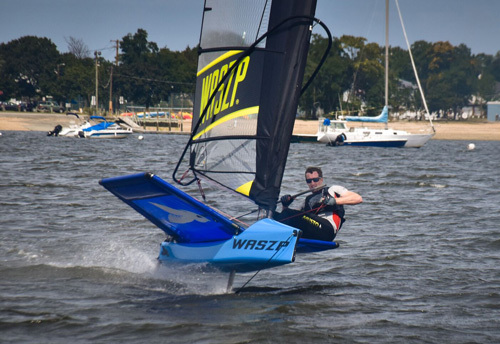 Learn from established foiling champions and earn your wings with Oakcliff Airlines. Our experts will provide personalized advice on how to take your fitness to the next level and make the most of this experience. Can’t commit to a full program? The Custom Acorn Program will give a few select sailors the chance to compete with the young pros according to their own custom schedule. If you can’t commit to a full Acorn program or want to learn specific skills related to performance racing, let us know when you’re available and your interests and we’ll create a custom program for you. Contact us directly at training@oakcliffsailing.org for more information.